Are you ready to live in more alignment with your heart? 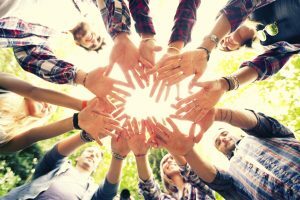 The Connection Project trains your competence to know and cherish your unique self in all your experiences. When you connect to yourself, you connect to life. Then you start to tap into sources of wisdom, depth and creativity. You will relate more honestly with others, have more fun, discover new areas of yourself and connect to you own power and courage. Life becomes very exciting as you learn to drop things that don’t work for you. You will trust yourself more both professionally and in your private life. The workshop gives you an important interpersonal training in new and playful way of learning. You can unlearn everything that stops you from being yourself. Angela brings safety playfulness and depth into a process of flow so that you can reconnect with yourself, drop things that don’t work for you and learn to enjoy life. She trusts the unfolding wisdom of the group and chooses moment by moment from a collection of methods in improvisation, play, clowning, dialogue, meditation, heart exercises, music, dance, drawing, relaxation. Angela offers a safe space in a group where you will be neither injured or shamed. This allows you to return to the creativity and free expression of childhood, or practice it for the first time. When we are really present, without an agenda, we drop into innocence. There is no fear of judgement and so head, heart and the gut instinct are reconciled within us. The inner child is nurtured and strengthened and we can allow ourselves to receive deep healing and vitality within. Optional: At home support: If you want to take your process deeper with Angela, you can book at home online coaching sessions with her. Details will be given at the workshop. Angela grew up in England and began improvising in the 1970’s later went to school where she studied physical theatre, clown and the fool. Later while living in Scotland, she was apprenticed to an indigenous storyteller and learnt ancient ways of working with stories and songs from him. She has been on a journey of personal and spiritual development for many decades, lived 6 years in a monastery and has integrated approaches from many philosophies and teachings in her work. She is an international performing artist working as a storyteller, clown, singer and director. In 1990, she began teaching embodied play, storytelling and communication skills training and leading residential retreats as a way to help people connect to themselves, life, nature and others. She has trained people all over the world who work with children and adults in a variety of professions. She tells stories in intimate storytelling house concerts connected to the 8 old Celtic festivals. She is a specialist clown who connects and improvises with dementia patients, trains other performing artists to work with people with dementia and trains nursing staff in dementia care enhanced sensitivity and new ways to meet patients. She offers a form of intuitive coaching for people in transition, entrepreneurs and other artists. Mirabellenhof, which means Plum Courtyard, is a large and beautiful house from 1756, refurbished in 2017 and dedicate to Katrin Paul. It has a largenatural garden, with many plum trees and animals. It sits on a quiet cobbled street in the sleepy village of Biesenthal in the German countryside, near Berlin. Our group will have exclusive use of the house for workshoptime. Accommodation is in twin or triple rooms. Video of the appartments can be seen here. Lovely vegetarian meals from Friday dinner to Sunday lunchtime. The workshop space is a beautiful hall at the top of the house with views over the Biesenthaler basin nature reserve. We often see the Biesenthal storks flying close by from the windows! Katrin Paul, the owner of the Mirabellenhof Venue, has developed this training series unique in Germany with Angela. 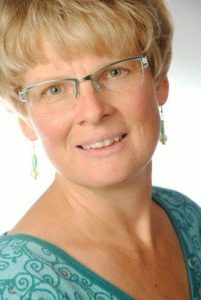 Katrin Paul has experienced Angela’s work in Hungary and Germany. This is Angelas second visit to Mirabellenhof. “The ability to be present and to be authentic is the key to satisfying relationships with children, parents, colleagues or clients. Through this workshop, pedagogical specialists can very individually shape their professional development. In combination with personal coaching by Katrin or Angela, the new experiences can be transported directly into everyday work. Cost taking by the facilities is recommended, a corresponding certificate for the participants and employer is issued. Optional: There will be traditional storytelling evening on thursday evening before every workshop. Come and listen to stories and songs associated with the Celtic Festivals. The Storytelling Evenings are open for the people nearby and in English with German translation. 16th November: Samhain Celtic New Year, death of the old, start of the new. 25th January: Imbolc Celtic early spring. Returning light, new growth hidden under ground. 26th April: Beltane Celtic start of summer. Blossoming, fertility, growth, expansion. 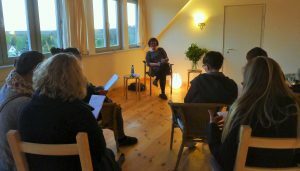 The storytelling evenings are open to people living nearby and are in English with German translation. Learn more about the storytelling from Angela In neuem Fenster öffnen. There are 14 places on the workshop. The Mirabellenhof is located 35 km north of Berlin, Germany. From Berlin Main Station or the airports (TXL or SXF), 1,5 hours with public transport. Shuttle Service from trainstation “Biesenthal Bahnhof In neuem Fenster öffnen” available.